The use of soy products is common in young children with cow milk allergy (CMA). 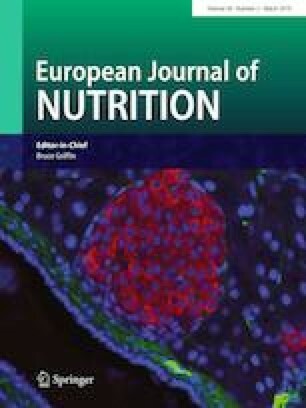 The aim was to examine prospectively the association between infantile consumption of soy-based formula, growth parameters and early pubertal signs, in comparison to cow milk-based formula. A nested case–control study was conducted, selected from a cohort of infants prospectively followed from birth until the age of 3 years for eating habits and the development of IgE-mediated CMA. Infants who consumed only soy-based formula were included in the soy group. The control group was randomly selected from those without IgE-CMA and not receiving soy formula. Study participants were reevaluated between ages 7.8 and 10.5 years by an interview, nutritional intake by 3 days diaries, and height, weight, and pubertal signs by physical examination. The soy-fed group included 29 participants (17 males), median age 8.92 years IQR (8.21, 9.42). The control group included 60 participants (27 males), median age 8.99 years IQR (8.35, 9.42). The groups had comparable height and BMI z scores (− 0.17 ± 1.08 versus − 0.16 ± 1.01, p = 0.96, and 0.67 ± 1.01 versus 0.53 ± 1.02, p = 0.56, for soy and control groups, respectively). Four (three males and one female) from the soy-group (13.8%) and eight females from the control-group (13.3%) had early pubertal signs (p = 0.95). No association was detected between puberty and infantile nutrition, after controlling for BMI and family data. No association with puberty or differences between groups were found in current daily consumption of soy, micronutrients, energy, carbohydrates, fat, and protein. This is the first prospective, physical examination-based study, demonstrating no association between infantile soy-based formula consumption and growth and puberty parameters. The authors would like to thank Dr. Aliza Stark for her help in manuscript editing and Dr. Tomer Ziv for the statistical analysis. There are no reported conflicts of interest for any of the authors. Michael R. Goldberg is supported by a Kamea grant from the Ministry of Health, Israel. No honorarium, grant, or other form of payment was given to produce the manuscript. Website: https://clinicaltrials.gov/ ID Number: NCT02908971.